As an emergency medicine applied to demand, it is better to use aerosols containing fast-acting bronchodilators (salbutamol, berodual). As therapeutic, anti-inflammatory drugs inhaled corticosteroids are used. They are basic, i.e. the main means for the treatment of asthma, which effectively suppress bronchial allergic inflammation. Just one bronchodilator does not treat asthma, it only dilates the bronchi, but the inflammation in the bronchi remains. Hormones inhalation are quite safe. They are applied daily and for a very long period of time. They are issued either in the form of an aerosol or in the form of powders, packed in capsules or in an inhaler (about it we talked yesterday in the air). As an addition to them, to strengthen their action, bronchodilators of 12 or 24-hour action are also used. prevention of bronchial asthma-related mortality. an increase in the spread of PSV for peakflowmetry. 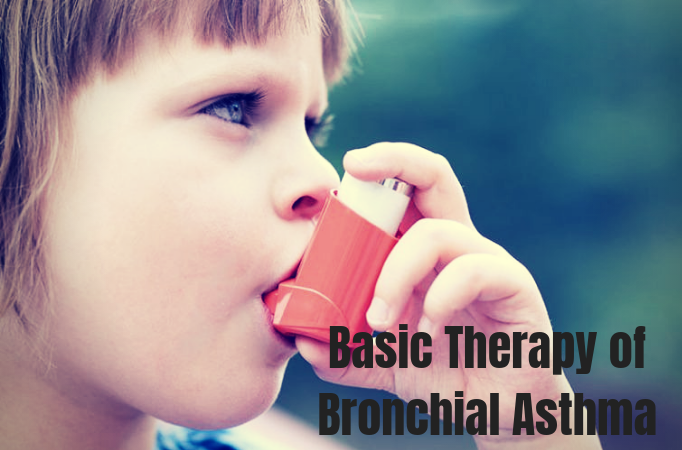 There are 5 steps in bronchial asthma therapy. Each step is one of the degrees of severity of asthma, which corresponds to a certain treatment. A step approach to basic therapy of bronchial asthma presupposes a different volume and intensity of therapeutic intervention, clearly regulated by symptoms, respiratory function and response to therapy. If inhaled glucocorticoids are prescribed, then they should be inhaled for at least for 3 months. The daily regimen should be followed, in the dosage indicated by your doctor, even if the attacks of suffocation have been completely stopped. Symptoms have disappeared, not because asthma has passed but due to an adequate, anti-inflammatory treatment. With the proposed scheme of the step approach in the therapy of bronchial asthma, it is recommended to increase the intensity of anti-inflammatory therapy, correspondingly to each stage, until control of asthma is achieved. If the symptoms of asthma persist and do not stop against the prescribed therapy (no control), then we go to a step higher and strengthen the therapy. If for a long time (at least 3-6 months), the patient has gained the control over asthma, then we have the right to go a step-down and reduce the dose of anti-inflammatory therapy. Bronchial asthma is under control if the patient does not have night and daytime symptoms, there are no exacerbations, there is no need or reduced need for high-speed bronchodilators, normal vital activity remains, including physical activity, normal (or near normal) values of respiratory function parameters are noted. Is the basic therapy for children different? How to understand that the treatment helps.” We took Pulmicort from July to March. There were no clearly marked symptoms of asthma, there was a severe obstruction, we got to the hospital, after that we were appointed Bronchial Thermoplasty. The food allergy is diagnosed. At the beginning of ARVI, which happened during this period, we went to the kindergarten, the first symptom is a slight cough, we began to take berodual, usually for 3 days. But we did not even have time to understand whether cough went down or we immediately stopped it. We have used to treat Pulmicort in the morning and in the evening. How can we understand what helps us?